Stream Dan Snaith's New Daphni Album, 'Fabriclive 93' The new album from Caribou's Dan Snaith is a continuous mix consisting entirely of brand new music and exclusive remixes. Stream the new DJ mix album by Dan Snaith, a.k.a. Caribou. When Dan Snaith first adopted his Daphni alias, he was almost a decade into a galloping career making catchy electronic rock as Caribou, on the verge of global success thanks to his 2010 album, Swim. Though Caribou's eclectic music never shied away from rhythms that made people move, it also hadn't yet taken on the club environment in full. Re-embracing DJ'ing as a creative outlet around 2009, Snaith did so under a new guise. "I made Daphni tracks just to play in my DJ sets," he told me by Skype from his studio in London. "It was music made for the purpose of playing out that weekend." At the beginning, this meant mostly remixes and re-edits of records in Caribou's existing palette (psychedelic rock, weird synth recordings, lost soul-funk nuggets, West African dance bands), then added contemporary club flavors (Chicago/Detroit/Berlin/London techno and house minimalists). By 2011 though, Daphni had a dance-floor hit ("Ye Ye," an infectious bit of house music built out of a William Onyeabor sample that spread like wildfire); and the following year, he released an album collecting his work under the pseudonym to critical acclaim. But the basic practical purpose of Daphni's creative output remained. Until now. 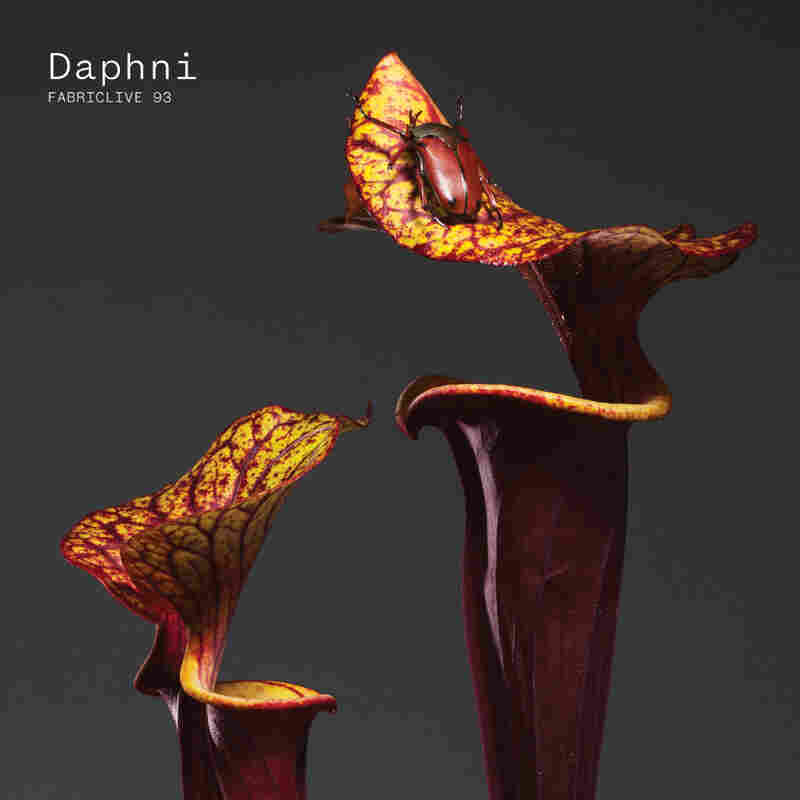 Among the fascinating things about Fabriclive 93, Snaith's contribution to the famed London club's celebrated mix series, is the collapse of the notion of Daphni as "purely functional" DJ music, without betraying its central "for dancing" premise. Almost every one of mix's 73 minutes, its loops, kick-drums and patches (all created specifically for this album) are there to instigate a party. Yet few of the 27 so-called "tracks" will be played stand-alone in Daphni's next DJ set. That's because Fabriclive 93 is a singular pastiche of sounds, one long original composition synthesized together from numerous miniatures. Or, as Snaith says, "It's almost a category mistake: yes, it's a continuously mixed piece of music, but I didn't put it together by DJ'ing and I didn't put it together imagining that it would be played in Fabric or in any other club." Still — oh, how it bumps in the car. Which is not to say that there aren't a handful of linear, 7"-length, potentially mass-consumptive moments floating throughout Fabriclive 93: Whether or not the opener, "Face to Face," was actually played on the bass guitar, hi-hat and snare, its stripped-down funk-rock groove purports to be universal. "Hey Drum," which pops up approximately 20 minutes into the mix, is a wonderful collision of post-punk screeches, jacking house, modular synths and layers of echo, all tapping each other in just the right way. A track called "Tin" features a soothing, wordless vocal over a trance-like synth arpeggio melody, and sounds for all the world like the kind of thing Snaith's friend (and periodic DJ partner) Kieran "Four Tet" Hebden would make: dance music as pop soundtrack as dance music. And the mix's closer, "The Truth," is a lo-fi, drum-machine and filtered-synth instrumental imitating the chords to Cyndi Lauper's "Time After Time" (albeit, abstract, up-tempo and disintegrating upon play). There are also full-bodied re-edits of the Luther Davis Group's disco-soul gem "You Can Be a Star" and jazz percussionist Pheeroan akLaff's solo drum turn, "3 in 1." For a grand, sonic cut and paste project, the album is not short on actual songs. But it's hard to pinpoint individual tracks as highlights when both the whole of the collage, and its countless interlocking moments — less "in the mix" than "on the Ableton grid" — offer such great musical rushes. Is it the emotional synthesis of Snaith's creative point-of-view, or the wonder of the musical dissonances? The confusion brings its own high. One such moment comes early on Fabriclive 93: a Daphni original entitled "Carry On" rubs up against the scattershot percussion of LA drummer Jamire Williams' "Futurism" to produce something that sounds like a rattlesnake dub of a John Carpenter track. Another comes inside "Ten Thousand," wherein the sound of a marimba mutates into a kora (both played on a keyboard by Snaith), while a deep techno rhythm-loop falls in and out of time. It's a flash of knowing nonchalance that evokes the DJ mixes of Ricardo Villalobos (whose legendary sets at Fabric provided Snaith with inspiration): sloppy, soulful and filled with an unspeakable salvation. Such is the glory of Fabriclive 93. The fact that it's a unique piece of product — a novelty among "DJ mix" releases because it utilizes the DJ's own new original music, created just for the occasion — is all well and good. Its true success is how it manifests another singular creative output from the relative familiarity of Snaith's musical brain. Anyone who's pressed play on a Caribou or a Daphni track, or had the pleasure of experiencing one of Snaith's marathon DJ sets, will find this environment familiar, ready for the unknown pleasures that lurk in all its cracks.